Long Range Rifle scopes and you? So you went out and bought that long range target rifle of your dreams, now you need to decide on what kind of optic you are going to put on it. Are you going to go all out on that long range sniper scope you saw being used in a movie, or are you going to go for a more basic but functional set up. For the purposes of this article we will assume a few things for the sake of brevity. Firstly caliber wise we will assume something along the lines of 308 winchester and the new wonder caliber of 6.5 creedmoor. These two will give us a good baseline to work with. Secondly we will assume that you have already selected your preferred ranges you are going to be shooting. We are going to assume that 500 yards is the shortest range you would be shooting. Long range typically is considered to start roughly at 500 yards and go out to as far as it is possible to shoot and still see your target. 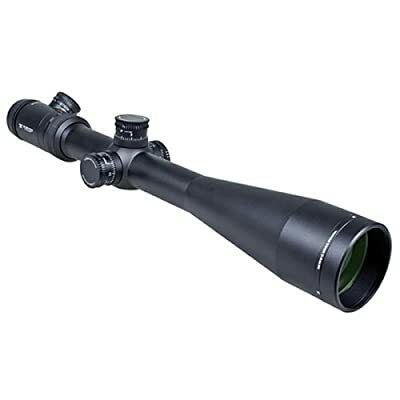 If we begin with the best long range rifle scope for 308 winchester we will cover most shorter ranges as well. 308 is an excellent caliber for most ranges up to and beyond 500 yards. 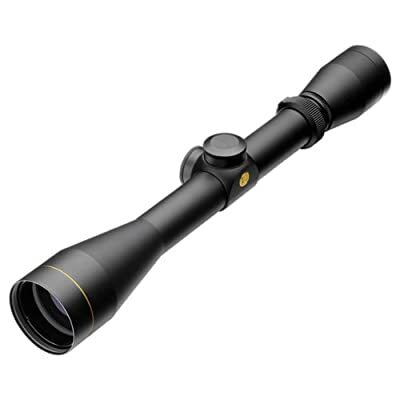 Most any scope in the 3-9X magnification range will work under 500 yards. We are going to talk however about scope suitable for +/-1000 yard shots. 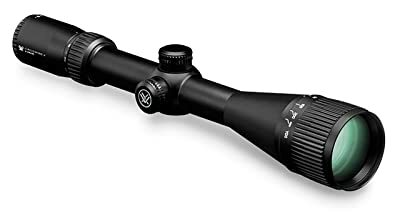 The scope you buy for this would also be in the running for the best long range scope for 6.5 creedmoor. This new wonder caliber is routinely shot out to 1000 yards even by novice shooters. Its softer recoil and flatter trajectory lend themselves to taking those extreme distance shots. This has lead to a new crop of shooters coming into the long distance field at a better price point than a lot of the heavier magnum calibers of old. What do I need to consider in my scope? You want several things in a good scope. Most important is clarity. You have to be able to see what you are shooting at in all conditions, so anti-fog coated lenses and nitrogen filled tubes are essential. A good sun shade and glare coatings are also vital. Quality of glass also plays a part, some scopes boast of German or Japanese glass, what matters is the quality of the lens grinding. I have shot perfectly clear scopes that were no name glass that had been ground well. Just as critical is reticle(a funny word that means the crosshair thingy you look through) type. You need to have a ballistic type reticle that is easy enough to use without being too simple. This will allow you to make shots without physically adjusting the scope for each shot. It does this by having windage and elevation markings that allow for holdover to be done manually based on the conditions of the shot. Next you have magnification. This follows on to above being able to see your target and sometimes what’s beyond it. At long ranges the more magnification the better. You don't want that prized buck to slip away since he looked like the trees behind him. A good long range scope is going to be anything in the 4-16x or 5-25x region. These scopes do however put you into ranges where parallax and field of view are important. Parallax is the alignment of the lenses in the scope body, and field of view is how much of the target area you see in the scope. Almost every scope made today is either designed to be parallax free or has adjustment for it. Field of view is pretty standard across the board at the higher magnifications depending on distance. Following these things is durability. This means how well the scope handles abuse. If you are only bench shooting this is not as vital, but many shooters are hard on their gear, and usually by accident. Your gun slips or falls and lands on the scope sometimes, or the airline drops it. A durable scope will not usually be affected by these minor things. Another problem is just component failure. Nothing is worse than going to sight in and realizing that your crosshairs are broken or your adjustment screws are stripped. 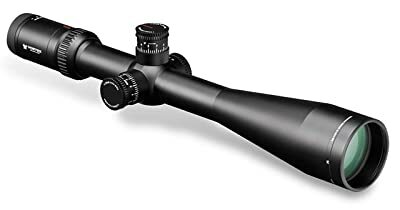 Fortunately most of the scopes out there for these calibers are very well made with good quality control, so it is rare to experience this with anything other than a bargain scope. Heavy is not always the same as durable by the way. Some of the most durable scope out there are very light, and some of the heavy ones are honestly overbuilt to an unneeded degree. But sometimes even the toughest scope gets outmatched. This is why an important part of durability is warranty. If you are going to shell out your hard earned money for a scope, you don’t want to be sunk if it needs repair. Fortunately almost all of the big name brands of today offer a lifetime warranty on their products. Some are even lifetime of the product. Which means its covered still even if you are not the original owner. 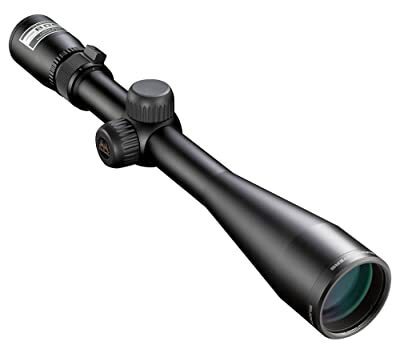 So now that we have covered scope basics, let’s look at a few in different price ranges. This list is not meant to be complete, just a good sampling of the scopes that are out there and could be in the running for you. If you look at this table of the most popular brands out there, you will see a good representation of most of the higher end brands along with a surprising amount of what would be considered more entry level brands. This list is not meant to be complete, just a good sampling of the scopes that are out there and could be in the running for you. You could spend days or weeks researching just the scope options available from each of these manufacturers. 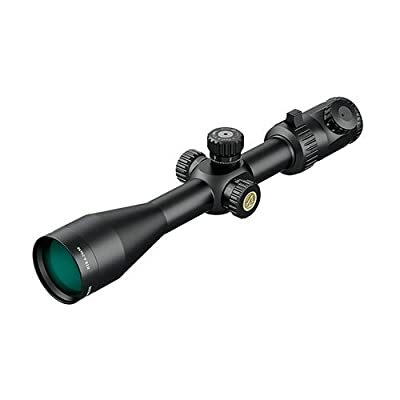 They all produce a full line of scopes for various needs and budgets. We have attempted to do some of the homework for you here by researching a cross section of the more popular and well known options that exist on the market today. It is often said, “Spend twice as much on the scope as on the gun,” and “Buy once, Cry Once.” This is excellent advice, and if that is your motto, I suggest either one of these scopes. With an extra large 34mm tube and 56mm reticle, the Razor will give you an extreme amount of light transfer allowing those low light shots and an excellent view of your target. Additionally, it comes with an illuminated reticle allowing it to stand out in contrast to dark backgrounds. These features do come at a cost however since the Razor is larger and heavier than many others on this list. It wouldn’t be the scope to take on a long hike, but bench shooting would be ideal. With its first focal plane reticle the Viper eliminates any worries about parallax adjustment, leaving you free to concentrate on your shot placement. Locking turrets with turn indicators also allow you to not only return to zero easily, but also ensure that you don’t have to worry about it getting knocked out of alignment. Again, though, it has an extra large objective and tube requiring more weight and bulk, as well as extra height above bore axis. Vortex is known for their bullet proof construction and failing that for their no questions asked warranties. Nightforce is known throughout the world as the optics choice for true professional long range shooters and military sniper teams. The NXS is no exception. Benefits begin with the illuminated reticle like you see on the Razor, but continue on with its integrated ballistic reticle allowing you to do most of your windage and elevation adjusting by merely moving the rifle as a whole to align the dots, it makes it simpler to shoot. This also means a simpler design requiring less bulk and weight. It still has the larger light gathering objective. Its only real downfall is price, as it can be a bitter pill for your wallet to swallow. For that price you do a get a rugged and reliable optic that is fit for military use however, so if you are hard on your gear, this may be a good idea to purchase. The SHV continues Nightforce’s reputation for excellent quality optics, just at a lower price point. You do lose some magnification going down in price, but seeing as its only 2X, it’s only a minor inconvenience. The more important factor to keep in mind is this is a second focal plane scope, which means that you will have to adjust for parallax when shooting. This means more work on your part. Don’t let this dissuade you from this excellent scope however, as it is still a Nightforce with illumination like its big brother. ​With prices ranging from $600-850, the older Generation I Viper PST is an excellent buy. Giving you many of the features of the higher end model without compromising on performance. It will perform just like the big boy. You only really lose features like locking turrets, which if you don’t adjust your turrets much anyways is not really a loss. It does have a slightly smaller objective, but keeps its illuminated reticle as a consolation. This feature really does come in handy on targets with a dark background like standard long distance targets with their black centers. 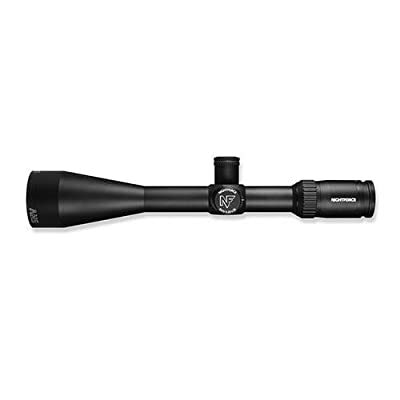 ​Vortex continues their market saturation of the good quality optics world with this example in a more affordable range depending on the magnification and features desired. It is very similar to its big brothers the Razor and HST, but again falls into the second focal plane category. Its parallax adjustment however is very simple entailing merely one side knob that is clearly marked for distance. This really negates this as a downside for this scope. 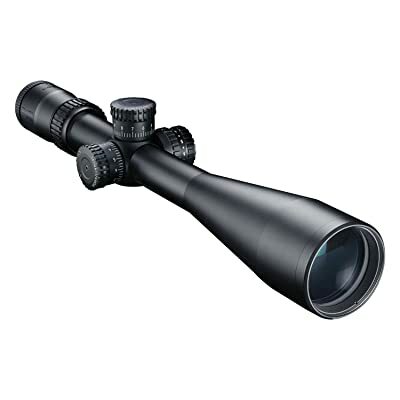 ​Millett has been around the optics world for quite a while and this scope is no exception to their reputation for excellent quality and durability to take on any conditions or abuse. 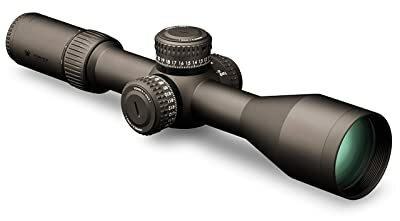 This scope punches above its weight class with its excellent 56mm objective and glass etched reticle meaning it can never get misaligned with the lens. This scope will serve you well if you can overlook its relative bulk with a large 35mm tube. This again results in a scope that has to sit relatively high above bore axis, but it’s not a disqualifier by any means. It just means you may need a cheek rest for this one, but that’s not unlike the big Vortex Razor discussed earlier. All in all a solid choice. Nikon has also been a familiar name among optics circles for a long time, this scope is proof why. A part of their new Black line, it is an attempt to get into the higher brackets of optics quality. Nikon has been known for basic optics for a long time, this is a whole different animal. The X1000 has a high tech lens coating to ensure maximum light transmission and image quality. With top notch glass and another company that offers full lifetime warranties it’s definitely one to have on your maybe list. The only downsides to this scope are the familiar bulk and size of reticle as well as being a second focal plane reticle requiring parallax adjustment. Fortunately Nikon has you covered here with a simple to use side adjustment allowing you to keep better control of your rifle. I know that for most shooters even those last few scopes will be out of reach for most pocketbooks. Which leads us to our more workhorse scopes for entry level shooters. These all retail under $500 without sacrificing the basic ability to function as a capable long range scope. These scopes will still fit the bill for you. If you are looking for a better price without sacrificing capability, look at one of these options. ​Here we have one of Vortex’s best sellers, the Crossfire series of scope has become almost a go-to scope for entry level shooters due to its quality and bang for the buck. Available in lower magnifications as a factory option on many guns, this higher magnification example will suit you just fine for a day on the 1000 yard line. Being a more beginner level price it does sacrifice some of the higher end features like illumination and locking turrets found on the other scopes on this list. It makes up for it however, in simplicity of use as well as the softened hit on your pocket book. You also don’t lose out on Vortex’s excellent no questions asked warranty policy either. This basic scope is just as guaranteed as the $2000 dollar one. All in all, uou won’t regret looking at this scope. ​Athlon is a lesser known company offering a scope that many higher end shooters would scoff at based on price. Don’t let price confuse you, this is a durable optic with high end features at a good price point. This entry level scope comes with an illuminated reticle and high magnification as well as surprisingly being a first focal plane optic. 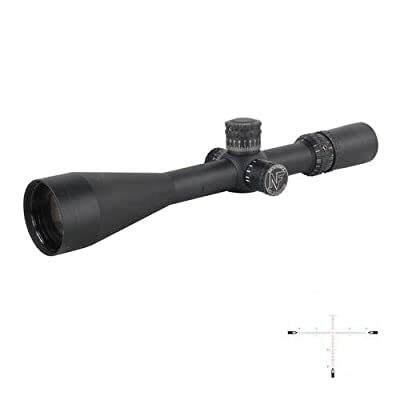 This means this basic scope does not require any parallax adjustment on your part and its etched glass reticle is extremely rugged. While not a big name, its certainly a scope to consider if you are a shooter on a budget that still wants the higher magnification like that found on the Razor or the NXS. ​Optics titan Leupold is by no means out of the running. Their basic 3-9 scope has been providing meat on the table of many hunters and rounds on target for years. This scope can be had as a factory option on many rifles, and there is nothing wrong with leaving it be and learning to be a better shot for it. 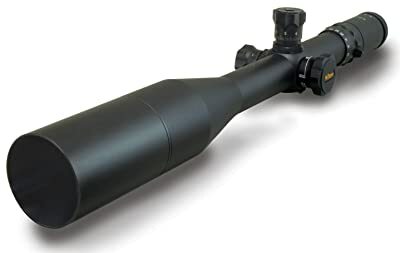 A man that can make a long distance shot with this scope would be deadly with one providing higher magnification. Backed by Leupolds lifetime warranty, it will handle years of abuse. It’s only limiting factor is its relatively low magnification and smaller objective size. This can cause issues with identifying and location of your target in low light and at long distance. If you are strictly going to be shooting 800-1000 yards, it’s probably not enough, but if you want to get the basics down first without breaking the bank, look into this scope. Like stated earlier, it might even be a factory option for your rifle. The answer to this is going to depend more than anything on you. Your personal choices affect which one more than any advice I can give. If money is no object, by all means buy the Nightforce or top of the line Vortex Razor. Realistically, Go to places that let you look at the scopes and get your hands on them. Look through them. Play with the adjustment knobs. Zoom it all the way in and see what happens to the reticles. Find one that won’t add too much weight and complexity to your shooting. My personal recommendation would be a Vortex in whatever price range you prefer. Having handled and used them, I can tell you from personal experience that they won’t treat you wrong. Glass quality and usability are excellent, as is the variety of options to suit any budget. Some people may quibble that they aren’t American made. I can tell you for a fact that they are American assembled and American repaired, and that’s good enough anymore. See below for a relative comparison of features between the scopes that we have just discussed. I got a scope, now what? Now that you have a scope, you need to mount it. This means getting good quality rings and bases to fit your rifle and optic. These can often run into the 100-200 dollar range for the best ones. This is again, “Buy Once, Cry Once”. Most modern rifles today come with some kind of mounting system already set up. This can range from fairly simple pre-drilled hole for a weaver style base all the way up to picatinny-style rails that cover most of the outside of the action as well as along the top and sides of the barrel. Also any of the Weaver style mounts can be adapted for picatinny-style mounts as well. The main difference between these two mounting systems is that weaver bases have only a single cross cut slot to retain the optic from sliding. Whereas on the other hand Picatinny rails have multiple cross cut slots allowing you to place your item wherever you choose front to back. This allows you to better fit the gun to yourself as well as accommodate different optic lengths or eye relief conditions. Be sure to remember this mount is going to be the primary interface between the rings for your scope and the rifle so any misalignment translates to misalignment down range. You want your scope to be mounted as low as possible over your bore to cure this same issue. The higher your scope is, the more adjustment you have to do to be aligned with where your gun is shooting. Vitally, your mount also needs to be able to take the recoil of the gun as well as handling the weight and bulk of the scope at possibly odd angles which can produce strange shearing forces. So again, the more substantial the better. This leads to which type of rings to get. The best type out there is an integrated ring and bases made as one monolithic piece. This again reduces your risk of misalignment, as well as conferring great strength upon the entire base assembly which makes the setup more rugged to take abuse. The more rigid the base, the better, many a good shot has been ruined by allowing your mounts to become loose. Shooters will often not even consider the mounts and blame the scope for shifting when its usually that they allowed the mounts to work loose from shooting. This brings us to our next topic. I Have My Scope Mounted, How do I shoot long distance? Once you have the scope mounted and aligned properly, start closer in and work your way out, learning all the tricks and secrets of both your rifle and your optic. Also remember that if you change ammunition it will change where you hit, so don’t automatically blame the scope if your shots go awry. Settle on one brand of ammunition and stick with it. Pick the one that is most accurate if possible, but sometimes budget will intrude. We all make trade offs when shooting. Its important to not handicap yourself with low quality ammunition that will make shooting more difficult. I’m not saying go out and buy expensive ammunition right away, but certainly look into it as your skills improve. Another thing to look into is hand loading your own ammunition. This strategy allows you to not only save money by making the ammo at a discount, but also allows you to tailor the ammunition to your needs. This way you get to pick your components. Heavier bullets fight the wind better than lighter ones, just as more aerodynamic ones will fly further and more accurately. Also the powder you use can play a part, it can be important to get the powder burn rate down correctly to get the most power burning behind your bullet before it leaves the barrel, not getting wasted outside after it leaves. At longer ranges these choices can make all the difference, so certainly consider giving yourself the choice by hand loading your own ammunition. The next three factors range estimation, windage, and parallax adjustment are all things that take time to learn. Again an entire article could be written on just this. Many of the optics companies put out excellent videos walking you through these topics in general as well as specifically with their optics. Don’t be afraid to sit down and just read the manual to start with. You won’t regret extra time spent preparing. Range estimation is a dying art. Shooters are spoiled these days with laser rangefinders that take all the guess work out of the concept. You can just push a button and have the exact range at your finger tips. This is fine if you have one, but if you don’t you need to learn. The easiest way to learn range estimation is football fields. They are 100 yards long. Walk one at an average pace and count your steps. Then walk this number of steps in the real world. Work yourself up to multiples of this and learn what objects look like at that distance until you can do it at 800-1000 yards. You will thank me later. Once you have range estimation down you can then get into using the elevation turrets on your scope. By adjusting these for longer ranges you can adjust where your rifle is sighted and thus be on target at longer ranges. Most of the scopes we have discussed have ballistic reticles on them with either dots or lines above and below the main crosshair. Using these you adjust the rifle up or down until the target is on the one corresponding to the appropriate range. This then allows you to use the reticle lines of the scope to adjust on the fly with no tools or taking your hands off the rifle. Windage means how much the wind blows the bullet off course and how much to compensate for it. Unfortunately there is no substitute for experience on this one. Frequent shooting in all sorts of weather conditions will be your best instructor. With practice you can learn to gauge wind speeds within a reasonable estimation. This will allow you to know how much windage to dial into your scope using the windage adjustment knobs. Alternately most higher end scopes have windage dots on the reticle that allow you to compensate for this by merely angling the rifle until the correct dot/line is on your target. This is similar to how things work with the range adjustment, but there is more guesswork and experience involved in windage. Parallax adjustment is an all-together easier topic as it really only applies in closer shots or at extreme magnifications. Parallax refers to the alignment of the optical prisms in the scope body. As they get closer and further apart there is more optical distortion and thus more misalignment of the field of view relative to your target area and point of impact for the bullet. Again nearly every one of the scopes we are discussing have parallax adjustment capability by moving one of the objective lenses. Those that don’t are what is considered parallax free, or self adjusting scopes. Most of these self compensate for the adjustment by having special tracks that rotate the prisms as the scope is being adjusted for magnification. 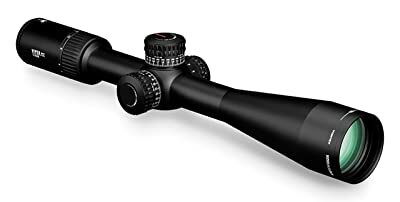 The other type that is parallax free is the “first focal plane reticle.” In these scopes the reticle is on the first lens, and thus doesn’t adjust in size when the rear lenses and prisms are adjusted. This means it never shifts alignment with the bore axis or field of view. This then eliminates the problem of parallax. Now that you have these topics out of the way, we can discuss the actual shooting at long distance. This in a nutshell is a game of experience. Every time you go, you will learn something, be it how to hold over for windage or elevation, or that you need to factor in barrel temperature when shooting. A cold barrel will shoot differently than one that has a few rounds through it, and a barrel that has been shot 100 times will shoot differently than a barrel with 10000 rounds through it. Long distance shooting is a process of constant improvement and learning. You also may end up changing your mind on a lot of things that you might have thought you knew or were settled on. You may start with that 308 Win, move up to a 6.5 Creedmoor, then decide that you really want a .50BMG rifle for extreme long range shooting. Or you may find that you don’t need all of the features of the super high end scope, and decide to move to a more simple budget optic. The biggest thing you will learn is discipline. It requires an immense amount of discipline to make long distance shots. You have to not only know how to make the shot, you also have to be able to make all of the calculations involved in making your shot hit your intended target. Even once you have this down, you have to train yourself to remain still and with your sights centered on the target throughout your firing procedure. A flinch at the wrong moment of a millimeter translates to being off target by several feet or more at those distances. Something that will help with this is supporting your rifle properly, be it with sand bags or some sort of rest. These can range from simple clip on bipods to ornate tripod affairs that will almost hold the gun for you. Remember that you want to keep the rest from contacting the barrel if at all possible. The barrel needs to be allowed to flex as the shot goes off, any torque or pressure from the rest will send your shot awry, and unless it is the same every time, you will never shoot to the same point of impact twice. The experience based recommendation here would be for a bipod of the proper height for your shooting technique. They come in various heights to accommodate shooting laying down, sitting, bench shooting, and all the way up to standing up and shooting almost unaided. As to how they attach, your rifle may come with a small section of rail under the fore-end to attach accessories(such as a bipod). In the case of most rifles they will clamp on to the sling attachment points already extant on your gun. This brings us to the other method of support. You may also choose to use any of the various sling techniques to help you hold the rifle. These range again from simple straps to hold in your hand to where you almost become a part of the rifle by wrapping yourself into the sling. So again more stable is better. Most rifles come with sling attachment points from the factory. Some of the higher end ones or the railed chassis rifles don’t, fortunately they are simple additions. The stock can be drilled or an attachment put on the rails. which will aid in shooting as well as carrying the rifle. So now that you have a basic understanding of what scope to get, and how to use your rifle once you get one, my advice is keep learning. I know that for me I will often use the experience of other shooters as well to inform and learn before I make a purchase, and then when I go to use my new toys. Don’t feel obligated to learn on your own, ask other shooters for tips and advice before you go out and buy anything. They may have thought of things you haven’t or may have had experiences that will help you to learn from without experiencing them yourself. You came here looking for the best advice on which scope to get for long range rifle shooting. I hope this article has dispelled some of the mystery inherent in long range shooting and how to pick a decent optic for it. Good Hunting! I'm the Founder of mcb-homis.com. Growing up in Alabama gave me ample opportunity to explore the wilds and gain a deep understanding and respect for the sport of hunting. Before hit his teenage years, I had taken deer, turkey, wild hog and numerous small game from the woods around my home. As my passion grew, I began to travel the Eastern U.S. for more hunting opportunities. While this love of the outdoors still exists, it was just the tip of the iceberg for what was to come. I became committed to defensive firearms when I hit my late teenage years and my early 20s saw the competing in numerous shooting sports from IDPA to NSSF Three-Gun. I even tinkered with NRA F-Class long range.